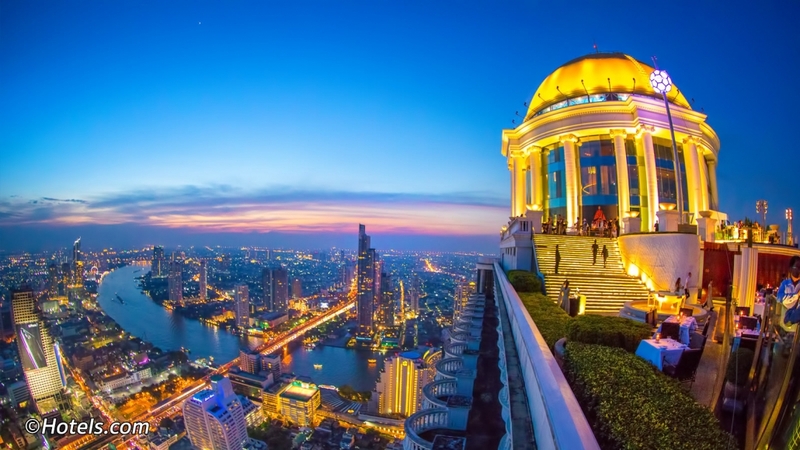 Bangkok, the capital and commercial hub of Thailand is an enigmatic city. From ancient temples, palaces, a floating market, a unique cultural experience to huge shopping malls, skyscrapers and a bustling nightlife — this city of contrasts has something to offer everyone. It also is the world’s second most visited city, behind only Hong Kong. While the people of Bangkok are extremely hospitable and helpful, the city for first time travellers can be a little overwhelming. So we have created a quick guide here to help lawyers and legal professionals effectively navigate Bangkok during their visits. Bangkok is huge and can be pretty confusing for visitors. It is also notorious for its gridlock traffic but thankfully it has an excellent public transportation system which makes getting around the city convenient and easy. BRT and MRT: BRT, also known as the sky train — and MRT, the underground train network — are one of the quickest and most convenient ways of getting around Bangkok. Taxis: Unless you are travelling during the peak traffic hours, taxis are the most convenient, inexpensive and fastest way of getting around the city. You may also download Grab app (formerly Uber) to book a car or taxi from the airport or to get around the city. Motorcycle taxi: If you are travelling solo and need to get somewhere within a kilometer, a motorcycle taxi is a quick and easy option. You can easily spot motorcycle drivers in orange, green or purple vests around BRT/MRT stations, shopping malls and tourist attractions. Boats and Ferries: Getting on a river boat or ferry is a fun way of avoiding the city’s gridlock traffic. Bangkok has an extensive canal network with different types of boats offering a variety of services. Bus: While a bus may not be your favorite way of getting around a city, it is the cheapest and the best way of exploring the real Bangkok. Make sure you get a BMTA map from the bus terminal before you take the bus. Tuk Tuk: Bangkok’s iconic three wheeled rickshaw continues to be a tourists favorite. It is not a very convenient mode of transportation but worth the experience for first timers. It is ideal to settle the price before getting in. Bangkok offers a wide range of accommodation options from luxury hotels to serviced apartments. You just have to know the neighborhood you prefer to stay in. It also offers an unforgettable shopping experience ranging from world class shopping malls to traditional Thai Markets where you can find virtually everything. From vintage and designer clothes and accessories to antiques and much more, you name it and you’ll find it here. While most tourists use Bangkok as a stopover before they move to the picturesque islands nearby, it is a city worth exploring. Here are some of the places you must visit before you decide to get away from the hustle and bustle of the city. Thailand’s legal system is based on a civil law system. It has its base in ancient Hindu Code of Manu but is largely influenced by the legal systems of European countries — mainly France and Germany. The Thai legal authorities also took input from Japanese, English and American legal scholars at the time of drafting the civil and commercial code. The first Bar Association in Thailand was formed in 1914. Foreign legal professionals are not allowed to practice law in Thailand but they can work as consultants. Listed below are few of the top law firms of Thailand. Deloitte Touche Tohmatsu Jaiyos Advisory Co., Ltd. Follow Leaders in Law to get more news and updates on the latest and upcoming legal events in the Asia-Pacific legal markets.